A front-page news story of the September 17, 1970 issue of the Irish Times informed readers of the disruption of the satirical review “A State of Chassis” at the Peacock Theatre. The show was about the civil rights movement and growing conflict in the six counties and was written by John D. Stewart, Tomás MacAnna and Eugene Watters. 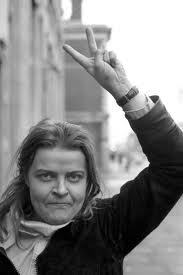 Protesters objected to what McCann called the “abysmally ignorant” portrayal of the north and its caricature of Bernadette Devlin. 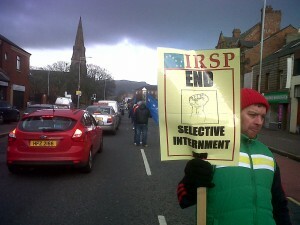 Among those taking part was Mairin Keegan, a prominent figure in the Marxist-republican organisation Saor Eire. Tonight’s Irish Night is the second part of a talk on “Constance Markievicz: countess and revolutionary”. It marks the end of this term’s advertised Irish Nights. Next term, Irish Night at the WEA will be continuing on a fortnightly basis, starting on Thursday, October 17. Each session will run from 7.30-9pm, with an initial focus on women and the struggle for Irish freedom. 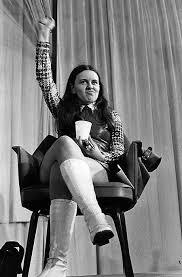 October 17: Bernadette Devlin: we’ll be showing a 1969 US television documentary on Bernadette Devlin, made shortly after she was elected to the British parliament. 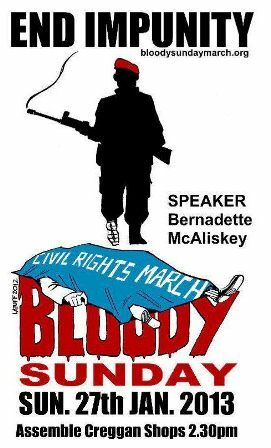 October 31: Off Our Knees screening; this is a documentary about the civil rights movement in the north of Ireland in the 1960s and events there up to 1988, written and presented by Bernadette (Devlin) McAliskey. November 14: Mna na IRA: Rose Dugdale: this is an episode of a series of Irish TV documentaries on women who were involved in the armed conflict against the British military presence in Ireland; this episode is on Rose Dugdale, an iconic revolutionary figure whose background was in the English upper class. Each showing will be accompanied by a short introductory talk. I know éirígí Dublin is organising a bus up to Derry. The bus will be leaving Dublin at 10.45am. Priority, naturally, is for members of éirígí and Clann éirígí. But anyone else could try emailing: clanneirigi@gmail.com. I understand that in making my maiden speech on the day of my arrival in Parliament and in making it on a controversial issue I flaunt the unwritten traditions of the House, but I think that the situation of my people merits the flaunting of such traditions. I remind the hon. Member for Londonderry (Mr. Chichester-Clark) that I, too, was in the Bogside area on the night that he was there. As the hon. Gentleman rightly said, there never was born an Englishman who understands the Irish people. Thus a man who is alien to the ordinary working Irish people cannot understand them, and I therefore respectfully suggest that the hon. Gentleman has no understanding of my people, because Catholics and Protestants are the ordinary people, the oppressed people from whom I come and whom I represent. I stand here as the youngest woman in Parliament, in the same tradition as the first woman ever to be elected to this Parliament, Constance Markievicz, who was elected on behalf of the Irish people. This debate comes much too late for the people of Ireland, since it concerns itself particularly with the action in Derry last weekend. I will do my best to dwell on the action in Derry last weekend. However, it is impossible to consider the activity of one weekend in a city such as Derry without considering the reasons why these things happen. The hon. Member for Londonderry said that he stood in Bogside. I wonder whether he could name the streets through which he walked in the Bogside so that we might establish just how well acquainted he became with the area. I had never hoped to see the day when I might agree with someone who represents the bigoted and sectarian Unionist Party, which uses a deliberate policy of dividing the people in order to keep the ruling minority in power and to keep the oppressed people of Ulster oppressed. I never thought that I should see the day when I should agree with any phrase uttered by the representative of such a party, but the hon. Gentleman summed up the situation “to a t”. He referred to stark, human misery. That is what I saw in Bogside. It has not been there just for one night. It has been there for 50 years—and that same stark human misery is to be found in the Protestant Fountain area, which the hon. Gentleman would claim to represent. These are the people the hon. Gentleman would claim do want to join society. Because they are equally poverty-stricken they are equally excluded from the society which the Unionist Party represents—the society of landlords who, by ancient charter of Charles II, still hold the rights of the ordinary people of Northern Ireland over such things as fishing and as paying the most ridiculous and exorbitant rents, although families have lived for generations on their land. But this is the ruling minority of landlords who, for generations, have claimed to represent one section of the people and, in order to maintain their claim, divide the people into two sections and stand up in this House and say that there are those who do not wish to join the society. This is a transcript of a speech given by Bernadette in New York in April 2000 and downloaded from the internet. It was edited for reasons of space by the group Socialist Democracy. The final draft was approved by her and SD had her permission to use the downloaded text. I’ve had a request from Russia to try to get up more Bernadette stuff, so I’m reprinting it here. It has certainly borne the test of time! A great deal has been written about the peace process and I’ve not written a lot, but what I’ve written I think has mattered and you can read it if you like. For where the peace process is, indeed what the peace process is, very much depends on yourselves and where you are. Some people think the peace process is the successful culmination of the 30-year struggle for self-determination, sovereignty, social justice, equality – never mind socialism and all the hard bits – and that we are looking within the peace process at the culmination of the success, at the just achievements, won again through hard struggle and sacrifice. Other people, and I’m talking about people on our side of the line (Republicans are the people I’m talking about) if you want to put that at its broadest point, other people within the broad civil rights, civil libertarian, progressive democratic movement will say that the peace process is the worst thing that has happened to us since we lost the 1798 Rebellion. I think the real issue is about the process itself. The real issue is to try and analyse and understand what exactly is happening here and whose peace it is we are currently processing. And if you look at it from that point of view, I think some very serious questions have to be asked. At the minute, within the peace process, we’re sort of at a point where the key issues appear to be things like ‘decommissioning’. Decommissioning is very interesting because prior to the existence of the peace process, the word itself did not exist. Not the process, not the strategy, but the word did not exist. Decommissioning, like a whole lot of words, are themselves the product of the Irish peace process. But at the minute, people get bogged down in it because it has been a consistent pattern from the beginning of this whole process to create a situation for the simple purpose of diffusing it. On International Women’s Day 2012 a discussion was held in West Belfast’s Conway Mill about the on-going political internment of Marian Price. Bernadette McAliskey emphasised the illusion of normalisation by stating that this sort of meeting should not be taking place in 2012 and that the Six County state was supposed to have embraced democracy. Another of Bernadette’s salient points was that people who are appealing to Sinn Fein to exert their influence to release Marian Price were deluding themselves. Sinn Fein, as part of the Stormont executive, are now administrators of so-called British justice in Ireland. 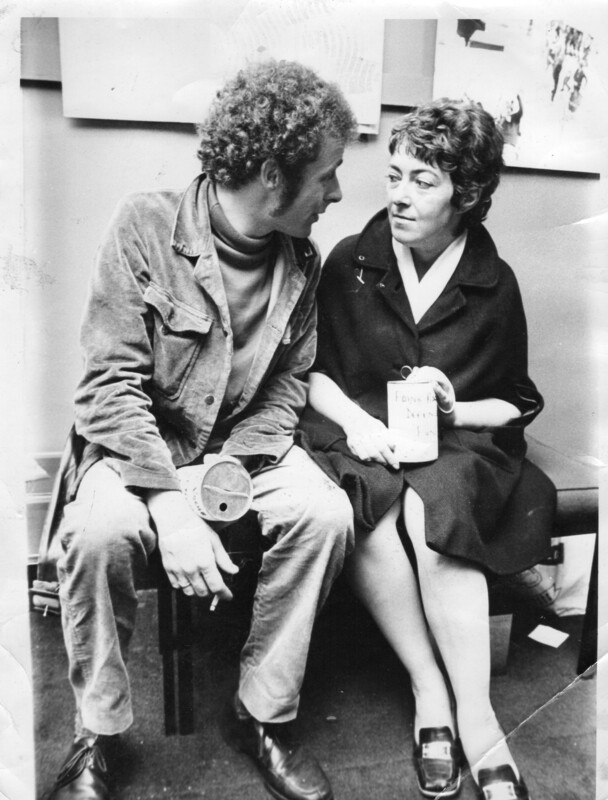 Although made with good intentions, the appeal for figures such as Raymond McCartney to act on this issue is made from a sentimental point of view and because of past injustices faced by McCartney as a political prisoner. However Republicans will be aware of how former comrades have been quick to turn their back on revolutionary principles once part of the establishment.